Home » Power Tools » Tiller Tool Rental Espanola: Do You Rent or Buy? Tiller Tool Rental Espanola: Do You Rent or Buy? Unlike a lawn mower, you do not use a tiller each week. Therefore, you are unsure on whether you need to visit a tool rental Espanola store to rent or buy it. A looming question for which answers are available. However, the answer to on whether renting one or buying is cheaper will surprise you. Also, keep in mind there are no wrong answers, as your choice to rent or buy also depends on how frequently you plan to use your tiller as well as the type of tiller you want to buy. Read on to find out if you should buy or rent a tiller from a tool rental Espanola store. Cost: Should You Buy or Rent? 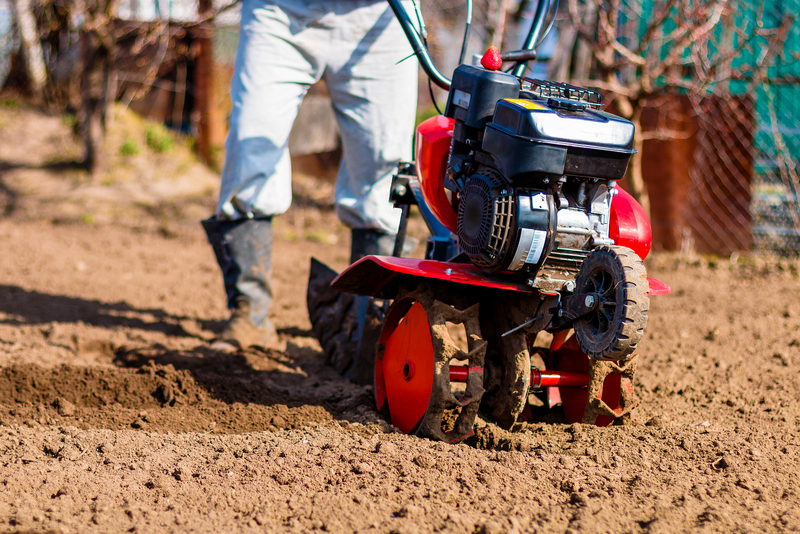 If you need to use a tiller two times each year for one week, the annual cost of renting it would roughly be equal to buying a tiller from a tool rental Espanola store. For this reason, buying a tiller instead of renting one is a more practical option. If you need to use a tiller for two days each year, the cost of renting it for four and a half years would be equal to the cost of buying a tiller. In most instances, buying a tiller instead of renting one is a better option. This is especially true for those who need to use a tiller for their garden for two times each year. What about renting it for four hours? Well, it depends on your timeline and if you think you’ll be able to complete the project on time. We prefer to garden in peace, but you’ll know what you can do based on your skill level. If you are considering renting a tiller, you will need to transport it from one location to another; once to bring it home, and the second time to return it. If you do not own a truck, you will need to borrow or rent one. If you choose to rent a truck, it will increase the overall cost. Loading and unloading may also be a factor you’d want to consider. You might encounter some issues with renting a tiller, as most of them are used. Additionally, you may not have the option to rent the latest model and if you do, it may cost you more to rent. If you rent a tiller while the sun is shining, but it begins to rain suddenly, you will not receive a “rain check” or refund. You’ll need to purchase another day’s rent. If you own a tiller, you will not be at the mercy of the weather and paying per day rent. In most cases, the best option is to buy a tiller. This enables you to have choices when it comes to your tiller. Work whenever you want without worrying about rain, no loading and unloading time, and rushing to finish the job so you can return it. Check out how we can help you with your tiller search here! Peaceful tilling to you! Comments Off on Tiller Tool Rental Espanola: Do You Rent or Buy?